Updated Winter 2013, scroll down for subsequent visit notes! Cactus Bob's is probably the most serious BBQ place in suburban Des Moines, they have seven in-house varieties of super-hot BBQ sauce. 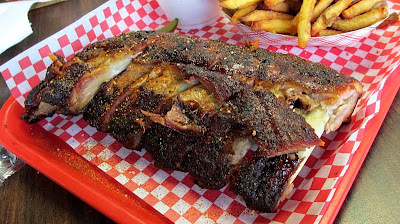 Their BBQ meats are refrigerated after smoking and reheated upon ordering, done to a scientific method outlined by their state of the art smoking machine. 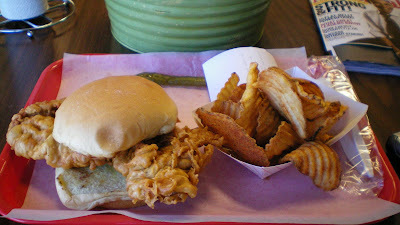 Nearly everything on the menu, including the french fries and potato chips, is homemade. Recently, a tenderloin special was added, so I had to check it out. Location: 5955 Merle Hay Road in Johnston, Iowa. Just north of Des Moines. Directions: go north from Merle Hay a few miles past the freeway. 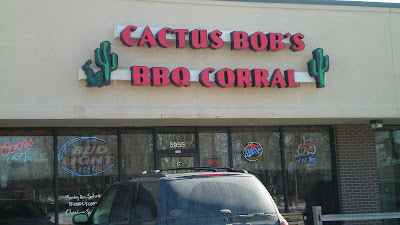 Cactus Bob's is in a strip mall close to Van Dee's Ice Cream. 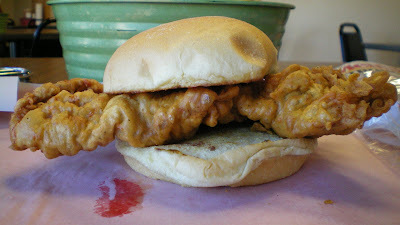 The Tenderloin: The breading was like a thick batter but thoroughly cooked with a hint of pepper flavor. It formed a skin that was dry and crunchy on the edges. 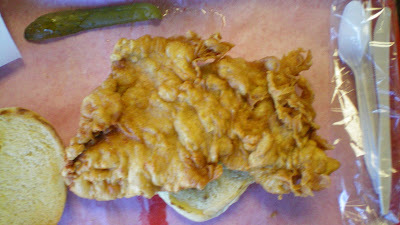 The meat was white and more tender than the other tenderloins from BBQ places in Des Moines. Served on a bun and ready for BBQ sauce. 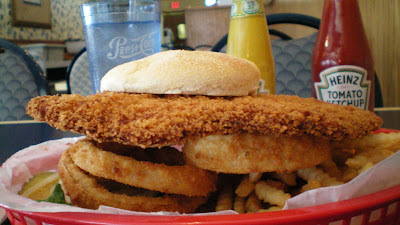 This was a tasty tenderloin 8.0 out of ten. Also on the Menu: A full selection of BBQ favorites including beef brisket, pork ribs, and chicken. Sides are made fresh, and Cactus Bob's own pickle mix, jerky, and BBQ sauce are available for sale. Service: Its just counter service with your number called when your order is ready. It can take a while to get your food when busy. Ambiance: Its a suburban strip mall location with tables to sit, and a large dining area decorated with Texas-themed junk. 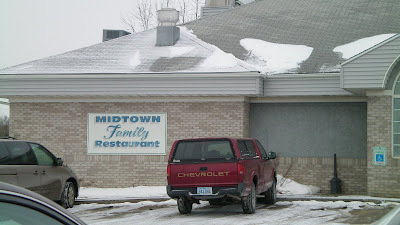 Final thoughts: This is a special place in the chain-food restaurant dominated suburbs. They have a contest where if you eat a brisket sandwich dipped in the hottest of sauces in less than 10 minutes without water, you get your money back and a picture on their wall of fame. 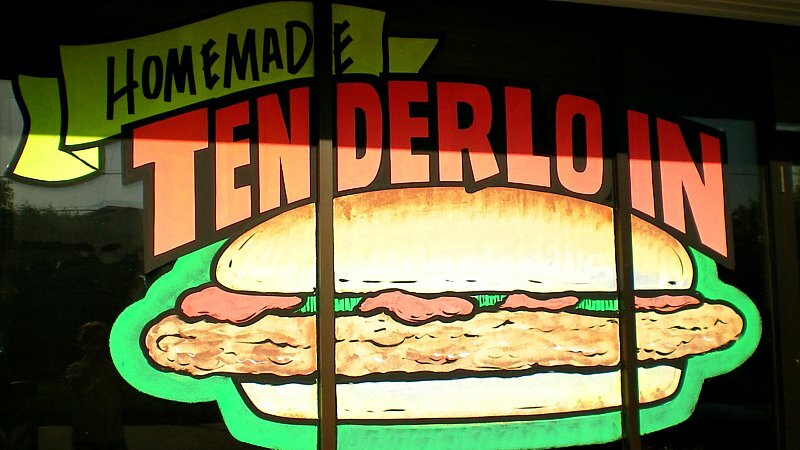 If they did this with the tenderloin I may have to give it a try, because nothing involving tenderloins has ever scared me. I made it back a few times to try some of the other items on the menu. The last few years have seen this place expand into the retail bay next door for a vastly larger dining area. The BBQ sauce and General Store setups seem to be a bit larger. The dining area is decorated with hot sauce bottles, but the tacky western stuff dominates the rest of the interior. 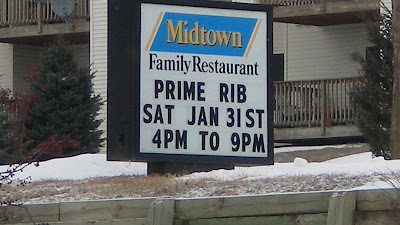 The ribs were reasonably prices at around $15 with a couple sides. These had a tasty dry rub and good texture on the different parts of the ribs. Some areas were a little dry but I liked the firmness off the meat for the most part. 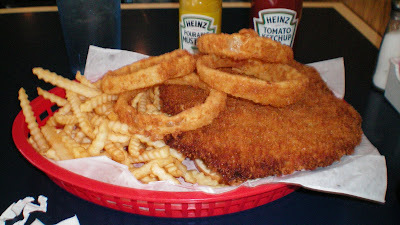 I can't stand places that serve these too tender and falling off the bone. The mac and cheese feels like a basic recipe where they add some bread crumbs on top. I wasn't impressed here, and would go with another side next time. The hand cut french fries are deeply crunchy and feel like they have been fried more than once to reach their deep brown color. 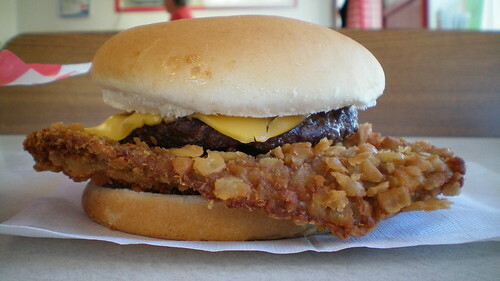 They add a bunch of salt on top when you order, but you can shake it off and dip them in BBQ sauce.